Grinding, fettling, linishing, polishing or trimming: they can all result in hazardous dust particles. 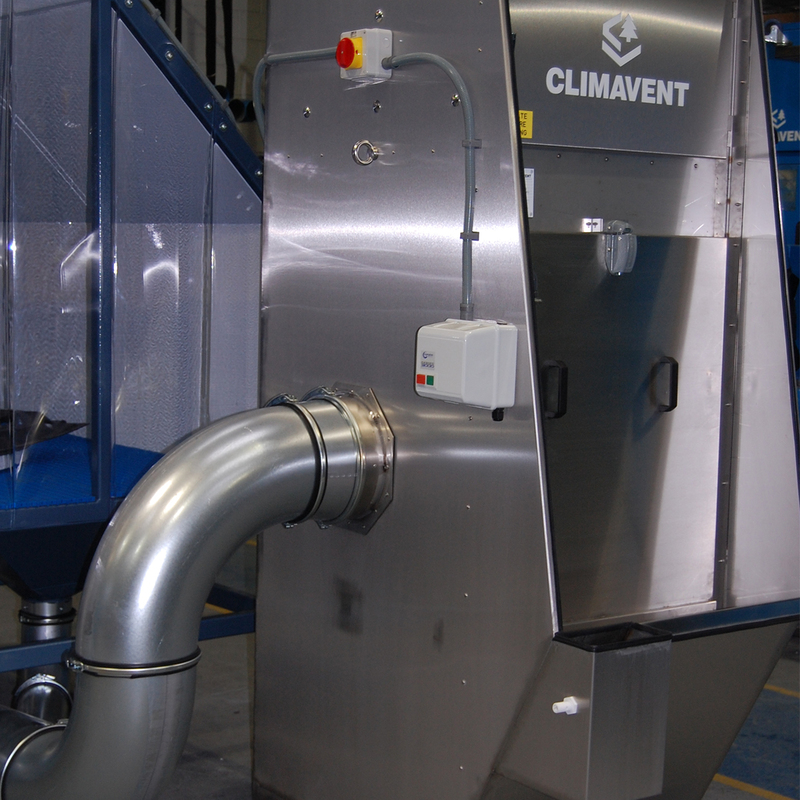 Climavent wet collectors safely remove these particles, drawing the dust through a tank of water and trapping material that could cause sparks, fires and explosions in an easy to remove sludge. With non-corrosive GRP or stainless steel bodies and no moving parts or sprays to reduce suction over time, wet collectors keep performing, ensuring your extraction system meets the rigorous health and safety demands of an environment exposed to flammable dust. Available in two sizes depending on your airflow requirements, talk to our engineers about the wet collectors that can keep your people and business safe and compliant.